Smokin’ Jacket LIVE 3 is on next Monday, February 7 and promises to be as cool and eclectic as the previous two have been. 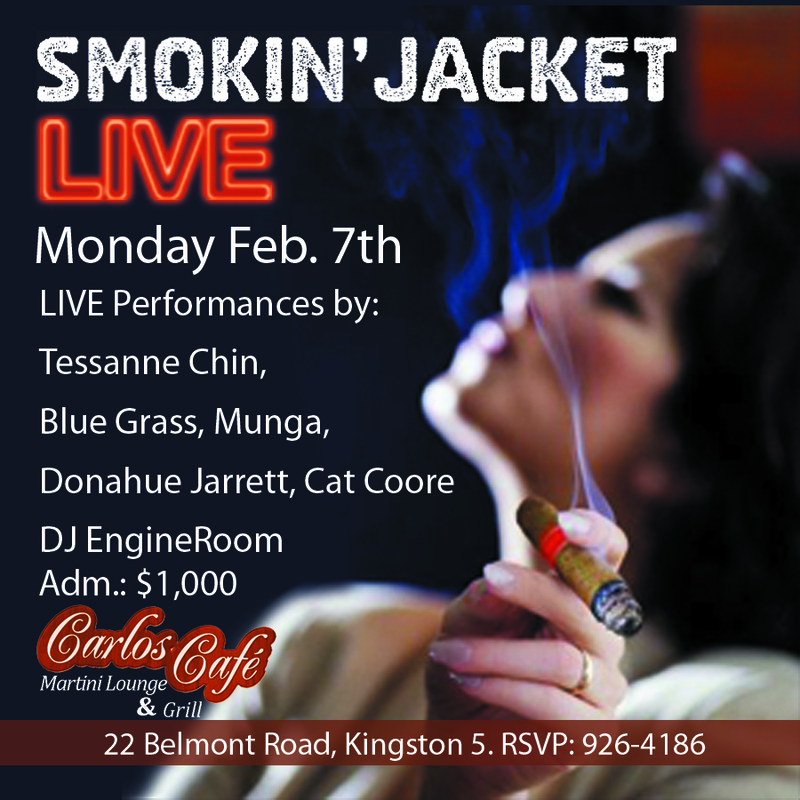 Smokin Jacket 3 features Tessanne Chin, Blue Grass, Munga, Donahue Jarrett, Cat Coore and DJ Engineroom. Tessanne has just released “In Between Words”, her new album now available on iTunes and Blue Grass just opened the main stage at the past weekend’s Jazz+Blues festival.